Dinesh D’Souza, the brilliant, soft-spoken Christian gentleman who dared to tell the truth about Barack Obama in a documentary has been federally indicted. It took a few years, but the guys in the lace-up patent leather boots and armbands finally found something to harass him over. It started with adultery, when that didn’t stick, the mining expedition continued. The charge now? Contributing too much money to a candidate who sought to replace former New York Senator Hillary Clinton. 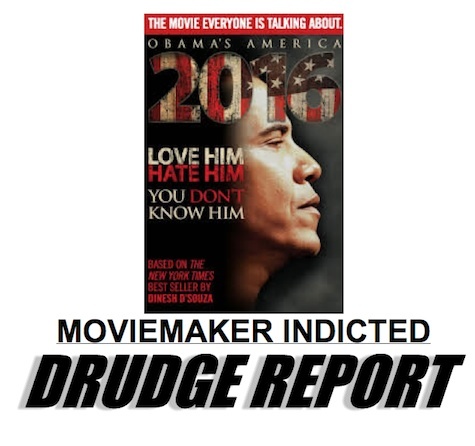 The producer of D’Souza’s movie Obama’s America: 2016, Gerald Molen, believes the charges are politically motivated. Ya’ think? Not anymore, Gerry! This is Obama’s America and it’s only 2014! With scandals piling up around Barack Obama, why is D’Souza being hauled off in handcuffs? Oh, that’s right, he allegedly donated more than the legal amount to the campaign of Dartmouth friend Wendy Long. 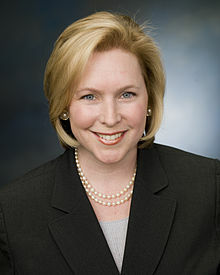 Long sought to occupy the US Senate seat Hillary ‘What difference does it make’ Clinton the carpetbagger vacated in her quest for the White House, but lost to the woman whom Senate Majority Leader Harry Reid calls the “hottest Senator” – Kirsten Gillibrand. Ironically, several months after the movie 2016 became the second-most-popular political documentary in US history, instead of trying to find out what happened in Benghazi where four Americans were left to die, the feds, “in a routine review,” turned their attention toward investigating Dinesh D’Souza. Clearly the goal was to distract Americans from authentic scandals by sending another filmmaker to jail on trumped-up charges. 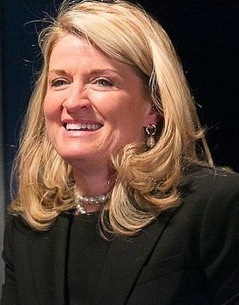 Molen likens what is happening to Mr. D’Souza to the IRS targeting conservative Tea Party groups for retribution. “In light of the recent events and the way the IRS has been used to stifle dissent, this arrest should send shivers down the spines of all freedom-loving Americans,” Molen says. When American citizens begin to suspect that people are being arrested for alleged minor violations because of their vocal dissent against their elected representatives or rulers, it breeds disrespect and contempt for the law and suspicion of those officials…If this unfortunate action against Dinesh is intended to deter the release of his upcoming film, America, that effort will fail. Dinesh D’Souza is not being singularly harassed. Friends of Abe, a conservative group of 1,500 Hollywood players, including actors Gary Sinise and Jon Voight, is being reviewed by the Internal Revenue Service in connection with its application for tax-exempt status. And also in New York, conservative activist James O’Keefe of Project Veritas, the group that has successfully exposed Planned Parenthood and ACORN, has had financial documents subpoenaed by Governor Andrew ‘Conservatives are not welcome in NY’ Cuomo. Governor Cuomo’s shocking words this past week aren’t simply words. Governor Cuomo and the New York Department of Labor are on a witch-hunt, demanding all documents and financials since our founding. His goal, of course, is to harass us and limit our effectiveness by tying us up in court. Just like President Obama used the IRS to target and suppress conservatives, Governor Cuomo is using his Department of Labor to do the same exact thing. Welcome to Obama’s America: 2014. A nation where political dissent is punished by exaggerated charges pinned on innocent people in hopes of sending a stern message to the public, quieting opposition, and taking the attention off the real criminal currently occupying the seat of power.